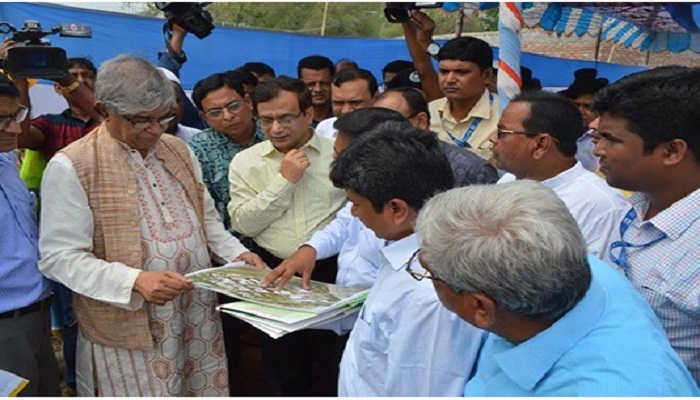 Posts, Telecommunications and Information and Communication Technology (ICT) Minister Mustafa Jabbar on Saturday said more than three lakh youths both boys and girls will get jobs within next couple of years in 28 hi-tech parks now being constructed outside of Dhaka. He also said around 14,000 youths will get jobs in ‘Bangabandhu Sheikh Mujib Hi-Tech Park, Rajshahi’ Project that will play a vital role in boosting the current economy of the region by creating new technology-based employment. The Hi-tech Park is being built on 31 acres of land in Bulanpur area in Rajshahi city with an estimated cost of Taka 231 crore to make Rajshahi as the city of technology. Its implementation works are expected to complete by December, 2021. The minister revealed this while visiting the project site in Rajshahi. Mustafa Jabbar said the Bangabandhu Hi-tech Park intends to create atmosphere for establishing industries on ICT, engineering, electronics, telecommunication and biotechnology. Besides, more avenues of employment for the ICT people will be created in this venture. During the visit the ICT minister directed the implementing officials concerned to quick and proper completion of the construction works as par the design. ICT Secretary Ziaul Alam, Commissioner of Rajshahi division Nur-Ur-Rahman and Deputy Commissioner Abdul Kader were present on the occasion.